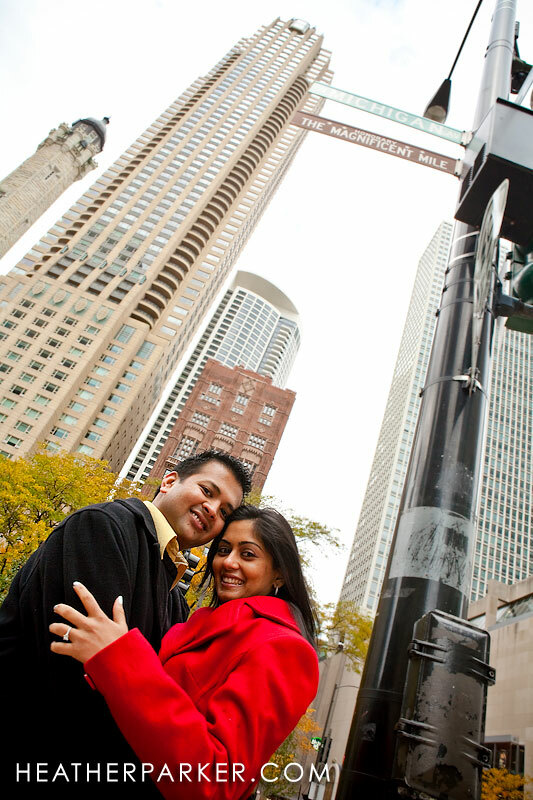 mamta and nishant had their engagement shoot in downtown chicago so that they could show their friends and family where their “home” was for several years. their upcoming wedding is in mumbai (formerly bombay). 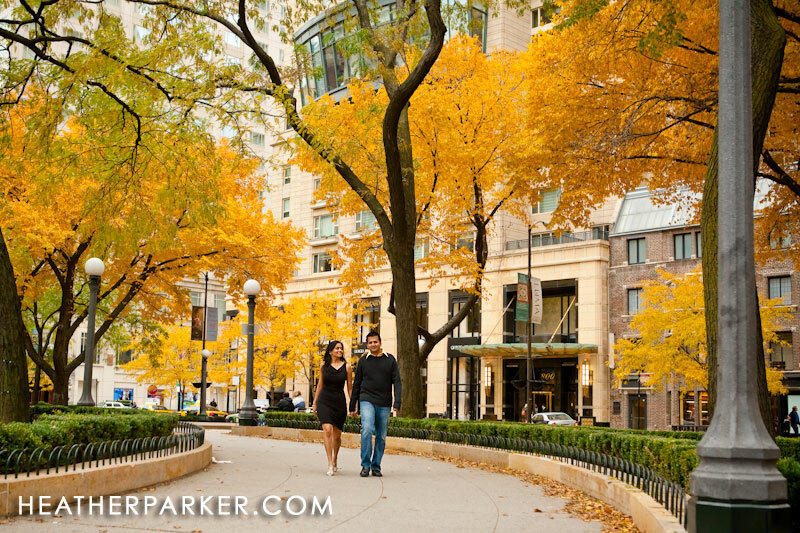 we met on an early brisk morning and avoided tourists, hitting many popular locations for photos in chicago. we talked a lot about indian wedding ceremonies such as mehndi and the sangeet/gaun parties, as well as the shaadi and mandap. the reason i really enjoy indian weddings is because of the many ceremonies that happen with a backdrop of such vibrant colors. mamta and nishant will have a five day wedding and hundreds of wedding guests. during our shoot, we talked about holi; i am dying to photograph the festivals.